Is it just me or does it feel like it’s been five minutes since The Men’s last album came out? Really, it’s been almost exactly a year. That's not an unrealistically short time in which to come up with a new product, but certainly not long enough for any kind of complete artistic overhaul. I should mention, I suppose, that the band and I have had a rocky relationship. By that I mean I haven’t liked their work and they have no idea who I am. Save Crystal Castles’ low-seratonin dudfest, nothing in 2012 depressed me quite as much as ‘ol Open Your Heart. I mean, it was okay. Flat, idealess, derivative, dull, and very okay. From where I stood, it seemed like they had a long way to go. But here we are, a year later, and I must admit, I’ve underestimated The Men. 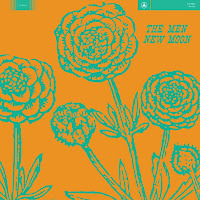 New Moon, their third effort, is a tighter, brighter, more cohesive record than anything they’ve had their hands in before. How did they do it? I’d wager the answer lies somewhere near a two-road town called Big Indian, NY, where they put the album to tape. Doubtless, getting out of Brooklyn is good for any rock band hoping to be treated as more than a seasonal outfit by indie music coolsters, but there’s more to it. The title of the album’s first track, “Open the Door”, had me immediately thinking of Dylan (something I do a lot anyway, but that’s beside the point) and his legendary work with The Band, recorded in the basement of the equally storied Big Pink house. The Basement Tapes was the genesis of alternative country, a beautiful blueprint for all future patrons of americana to follow. Big Pink is in Woodstock, just about a half an hour from Big Indian. New Moon feels a bit like its environment, crackling and warm, a wide open frontier miles from the closest tendrils of urban sprawl -- a labor of caring by a band of freshly-cleared heads living on fresh air. The new countrified direction was hinted at in their previous work, but “Open the Door” has more to do with the sunkissed melodies of Wilco’s Summerteeth than the X-style wild-west punk-a-billy that introduced Open Your Heart. Here, we start with a honky-tonk piano rhythm, a stuttered, dragging acoustic guitar line joining in after a while. Then the snare cracks, the electric organ lets out a squeal, and we’re helplessly pulled in. When the fuzzy, far away chorused melody hits, it hits all the right places. Truly an excellent start. In fact, the whole first half of the record is full of goodies. Each and every melody is interesting, fun, catching and worthy of praise. “Half Angel Half Light” stands out as one of their finer compositions, pitting their new homesteader sound with the punk and Dino-Jr. noise for which they’re so well known, but in more subtle ways than ever before. This increasingly mature handling of the sway of influence is the key to their success. In the past, I’ve struggled to pinpoint just exactly who The Men are. Their overwhelmingly diverse brand of sample-platter rehash-rock -- different styles, different voices, no cohesion -- left my head to spin. Here, they’re The Men. That’s it. They've got their sound and they're standing by it. The only conspicuously out of place tune is the last, “Supermoon,” in which the guys take off for a late-80’s, Loop-esque, thin and cloudy eight minute noise-jam that ends up ultimately feeling fairly unnecessary. Even the lounging instrumental “High and Lonesome” seems to fit in with the general flow, a nice transition from the crooning first half of the record to the more traditionally punk final six songs. As I’ve mentioned, The Men have done more than enough here to please me. I was sincerely expecting them to strike out, but they didn’t. That doesn’t mean New Moon is flawless. The lyrics can be a big issue. It’s unfortunate, too. More and more often, as the album carries on, momentum comes to a standstill when blazing tunes are watered down by awkwardly thoughtless poetry. I don’t tend to ask a lot of my lyrics. When they’re good they certainly add something, but when they’re just okay I can generally turn the other cheek and still enjoy the music. Here’s the thing: I don’t think The Men are bad lyricists. They’ve been clever before! These just feel so rushed. AABB rhyming dictionary lines abound. It’s evident that digging in the crates for old country vinyl has left them inspired to wail about hard-times and lost love in the simple language of their heroes. Unfortunately, I think they missed the spirit of it. Instead of evoking feelings of genuine pain and loss, these lyrics feel at worst like parody. Sometimes they do get it right though, and when they do it sounds great. “Freaky”, the second to last track and the rightful ending to the album, is one of my favorite songs of the year so far. Stripped down, simple and unpretentious, it’s the ultimate slop-pop ballad. “Senorita married in Hell/Honeymoon in a cheap hotel/She asked me who would you really die for?” It comes at you fully formed and without a hiccup. It’s breathlessly good, and it more than makes up for “Bird Song,” the Stones-rip stagnant-water ballad that directly precedes it. 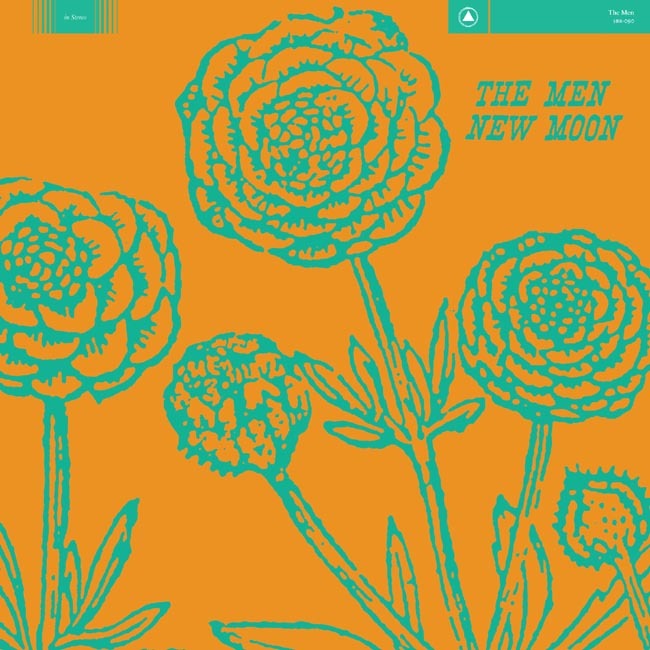 New Moon is a critical step in The Men’s development. They’ve cast off the chains of melting-pot style Brooklyn rock and are actively fighting to be more than just a transient internet it-group. They’re not trying to bring rock and roll back to life. They don’t want that burden on their shoulders, and who would? This is just good music that comes from an honest place, and that’s a hell of an improvement. The fact that I feel perfectly comfortable recommending this album is something on its own. I do. It’s worth your time.